This little-known part of the country is stunning, rural and varied, and little has changed since the ancestors of the Sinhalese people first arrived over three thousand years ago. The area is famous for its picturesque lagoons as well as ancient tanks such as Uswewa, Inginimitiya and Tabowa wewa that were built during the Anuradhapura period as a way of storing the monsoon rains to use for paddy irrigation for the rest of the year. One of the country’s most diverse national parks, Wilpattu, lies within this district too, and a day trip to Anuradhapura is also possible from here. If you fancy indulging in some water-sports, then the coastal town of Kalpitiya is close-by. The name Puttalam is thought to derive from the Tamil word Uppuththalam, meaning ‘salt production area’. 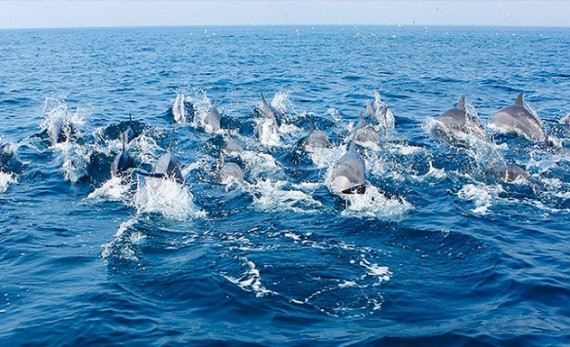 Head 30 minutes out into the ocean in search of whales and spinner dolphins, accompanied by an experienced naturalist.